Vivo has launched another variant of the Vivo V5 which was launched last year in India called the Vivo V5s smartphone. This smartphone comes with 64GB of internal storage and Design similar to Vivo V5 Plus. Other Specifications are similar to Vivo V5. Vivo V5s features a 5.5-inch HD Display (1280 x 720 Pixels) with 2.5D Corning Gorilla Glass. It is powered by an Octa-Core Processor coupled with 4GB RAM and 64GB of internal storage that can be further expanded to 265GB through a micro SD card. As far as the camera is concerned, it packs a 13MP rear with LED Flash camera and 20 MP selfie camera with LED Flash, Sony IMX376 sensor, F/2.0 Aperture. 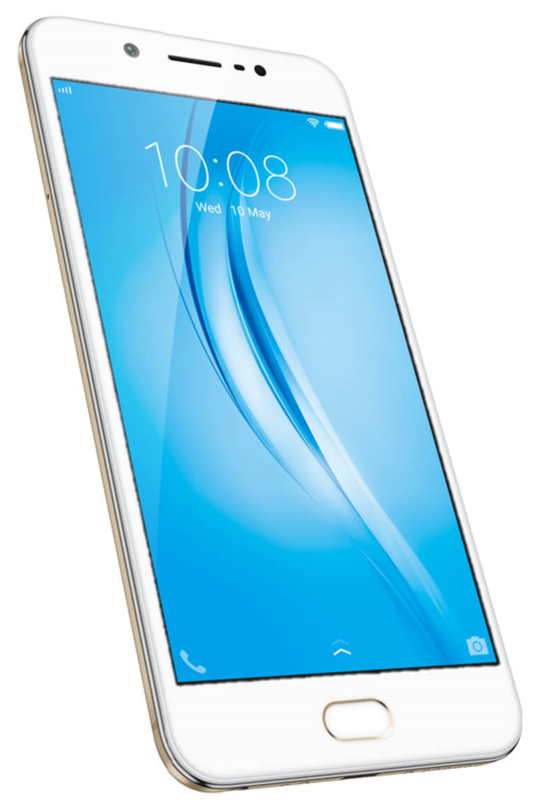 Vivo V5s also support Dual SIM and runs on Android 6.0 with Funtouch OS 2.6. Vivo V5s boast a 3000mAh Battery and also, comes with Fingerprint Scanner. Connectivity options include 4G VoLTE / 3G, WiFi 802.11 b/g/n, Bluetooth 4.1, GPS. Vivo V5s to measures 153.8 x 75.5 x 7.55mm and weighs 154 grams. For music lovers, the vivoV5s comes with a Hi-Fi AK4376 chipset. Buyers will also get Saavn Pro subscription for 2 months. V5s also supports App Clone feature which means users can use two Whatsapp and Facebook account. Vivo V5s comes in Matte Black, Crown Gold color. V5s is priced at Rs 18,990 which is Rs 1000 less than Vivo V5. There are other Phones Like Redmi Note 4, Honor 6X, Moto G5 Plus in India under Rs 15000 which offer better specifications. It is available for pre-order and the Matte Black version goes on sale from May 6th, while the Crown Gold version goes on sale from May 20th.